We’ll start off by quickly defining the term completion as the tendency of the Organism to fill up neural clusters with additional information, releasing pleasure with each new synapse. That may have sounded like a bunch of gibberish to you; if so, you can think about completion as a desire to learn more, or curiosity. Most simply, we see this phenomenon when information is withheld from us and we know it’s being withheld. If I were to tell you I know a secret about you, a part of you really wants to know what the secret is! Clearly I can’t know a secret about all of you; or can I? Completion is what makes you curious to learn more. Even if my secret doesn’t gather your curiosity, the completion phenomenon can be demonstrated in many other ways. 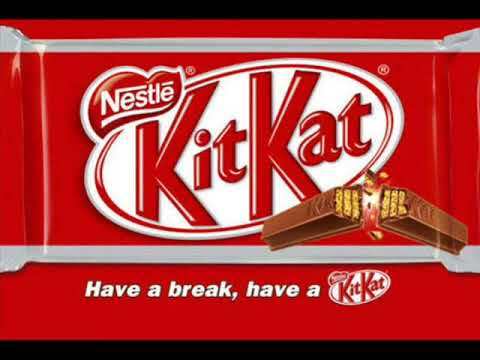 Some tunes you might feel the need to complete even if it means finishing it yourself, like the “give me a break” jingle. It’s perfectly understandable if you started silently singing the jingle to yourself, it’s your adaptation after all. This brings us to another type of completion: the desire for sensory input to match constructed thoughts. 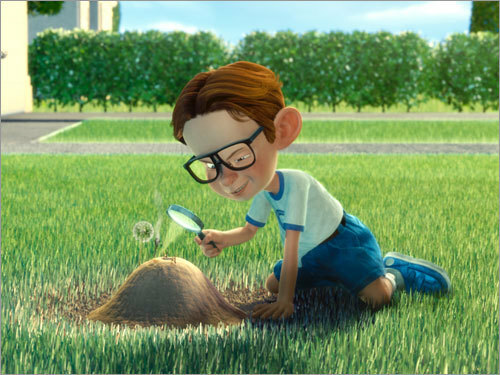 To demonstrate this point, let’s use a stereotypical childhood example: burning ants with a magnifying class. When you learn a new word, you often will say or mouth out the word. You might decide to write it down or use it in a sentence. All of these are completing the neural cluster forming around the new word as you synapse muscular, auditory, and visual memory with meaning. As you probably know, strange (and possibly sadistic) thoughts can occur at nearly any time. You could be walking down the street and have a random thought to attack a random passerby or kiss a stranger for no reason. You have been trained to function in society so you know not to act on those thoughts, but the desire to gain more information is still there. You yearn to feel and see what it would be like if your thoughts became real. This is why people enjoy scary movies: they lead you to think up some horribly gruesome (but new) situation and the movie will give you the visual and auditory information that you crave. Our fascination with the grotesque isn’t something to be shunned, but rather we should encourage exploration while maintaining our empathy to do no harm. You also complete thoughts that you don’t even want to, like imagining a person without skin riding a bicycle. Now you are picturing it, even though you probably didn’t want to! Sometimes, a word is on the “tip of your tongue” but you just forget it. It’s frustrating isn’t it? So frustrating that more resources are allocated toward the memory in order to remember the specific name; again, completion is the cause. Completion is even the reason we enjoy sports so much, besides our inherent competitive nature. Every sports event has one thing in common: there will be a winner and a loser. That means that every game has a giant question mark in its neural cluster: who will win?! Games aren’t as fun when you already know who will win because you’ve already formed the overall synapse. Sports like basketball and American football allow for this completion every time the ball is thrown. Every shot taken has two possibilities: it goes in the basket or it misses. Every pass made has the potential to be caught, missed, or intercepted. Either way, you are programmed to want to fill in those gaps and the pleasure released for each synapse encourages you to do more of it. Sports are fun because sports are unpredictable. Pleasure is released from gaining information; additional pleasure is released from different clusters if your team is the one benefiting. One of the benefits to completion is to remove pestering thoughts. Incomplete neural clusters will activate the consciousness for the chance to be completed. This is why a thought might keep coming back to the front of your brain, no matter how much you try to ignore it. Instead of pushing that thought aside, try unpacking that cluster to find completion. This could require you to listen to a song that’s been in your head, confront an ex-lover, or express your emotions. Regardless of what is required to complete the cluster, you feel better after it’s done and you can put it out of mind; I call this putting a bow on it. Now is the time for some homework: I want you to think about the parts of your behavior that are influenced by wanting to gain more information. This section has outlined a few examples of completion but for you to truly understand, you’ll have to see it in your own actions.